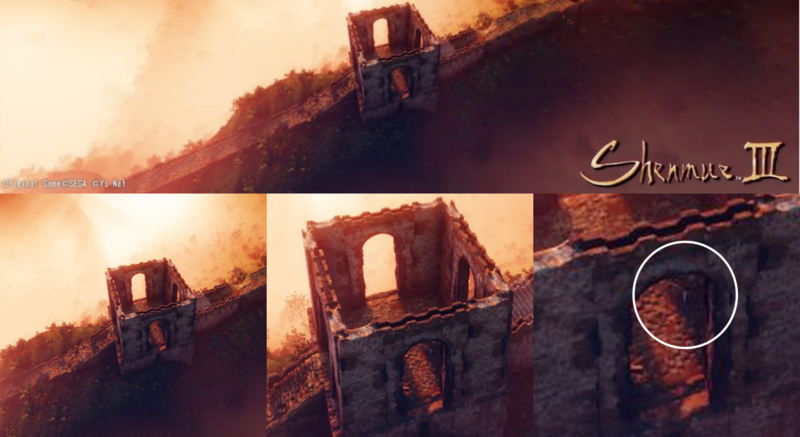 A jaw-dropping discovery has been made in the recent Shenmue III teaser video by Shenmue Forever (via Twitter). It is so subtle that it went completely unnoticed until now, despite the intense scrutiny the video has received. 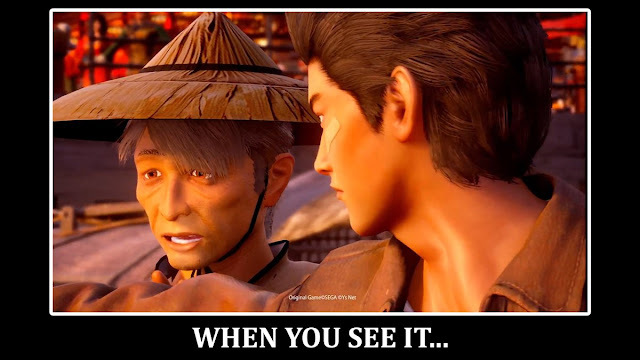 Yu Suzuki has been known to enjoy hiding Easter eggs within Shenmue III material in the past. In late 2015, a presentation Yu gave at the Chuapp event in China also contained a small Easter egg. At the end of this video clip demonstrating the interior of a room in Shenmue III, the figure of Ine-san (the Hazuki residence's housekeeper from the first Shenmue game) can be glimpsed standing in the doorway. Yu's comment to the audience, with a smile, was "Fan service!" 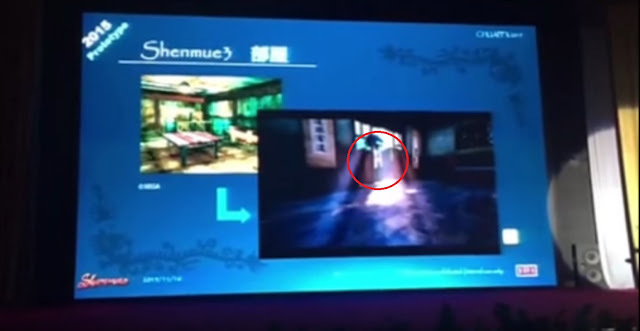 Fan service: the figure of Ine-san stands at the doorway, from a demonstration video at the 2015 Chuapp conference. 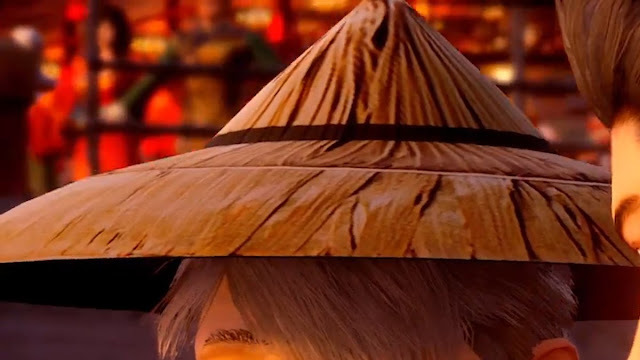 And just recently, in the Deep Silver partner announcement press release, the tiny figure of Ryo Hazuki was spied by Dojo member Spaghetti in the image of the fortified wall. 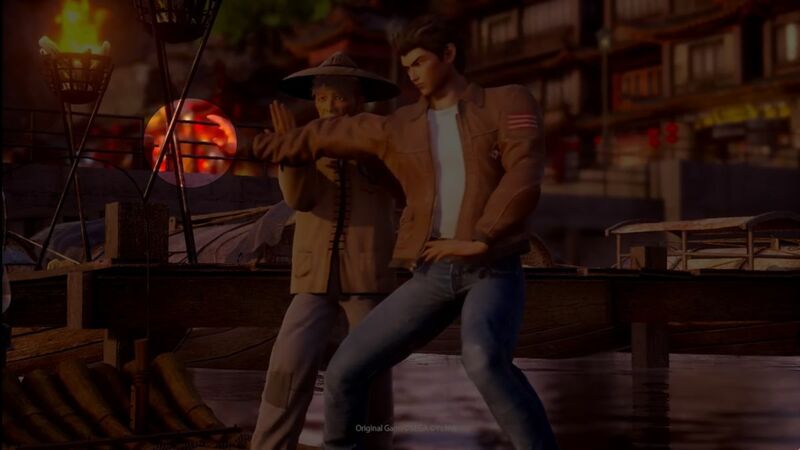 This latest discovery in the Shenmue III teaser occurs during the scene where Ryo is sparring with an elderly man in the docks area. In the background, two figures can be seen behind the railings at the very top-left corner of the scene: a lady in a red dress, and a figure standing in dark green with a gold design at the front. The two figures can be recognized as the mysterious Niao Sun and Lan Di himself. At normal speed, this part of the video takes only a second or two, so this is truly a remarkable find. "Wearing a voluptuous red dress, her manner seduces and distracts. Her fearsome eyes pierce everything and are constantly on the hunt for their next prey. She takes pleasure in cruelty and eliminates people like bugs." The location of the characters in the teaser can be determined approximately in this wider-angled shot. The approximate location of the characters, from a wider angle. Although it is possible they the two characters are supposed to appear in the scene, it seems most likely that they been included here simply as a treat for fans. I can just see Yu chuckling to himself as he put them there, perhaps thinking they might not be discovered for months to come. 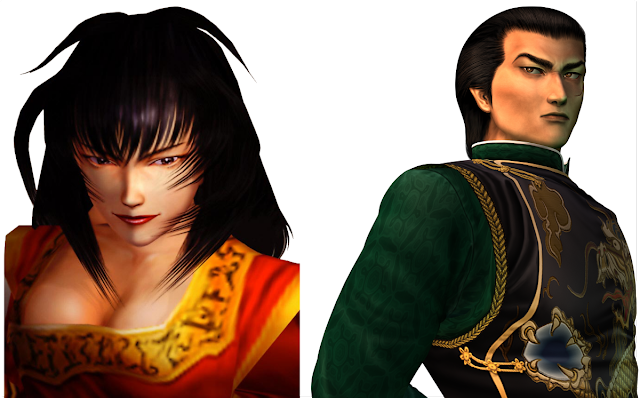 However, either way, their existence here provides exciting evidence for the appearance of both characters in Shenmue III.